This may be a Gorham Boy’s Press, but it differs from known presses of that type. 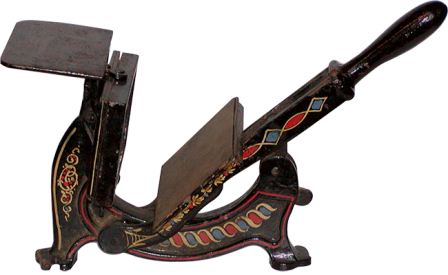 The Boy’s press shown in an undated catalog from Gorham and Co., Boston, Massachusetts, shows a similar press but the chase size is 3″ x 4 3/4″. It is similar in style to the Boston press.